A man is a real man, if welding is what he can! 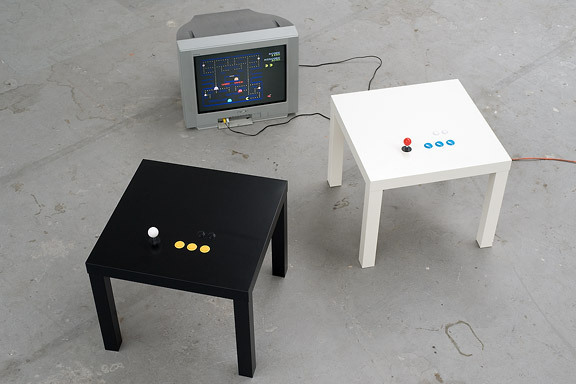 One of the most popular IKEA products is the LACK coffee table. It is so cheap, it must be hollow. 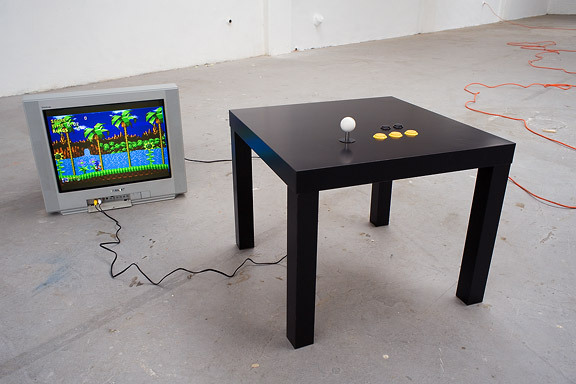 I opened the tables, I built in a retro TV computer game by Jakks and added real arcade controls to this game. 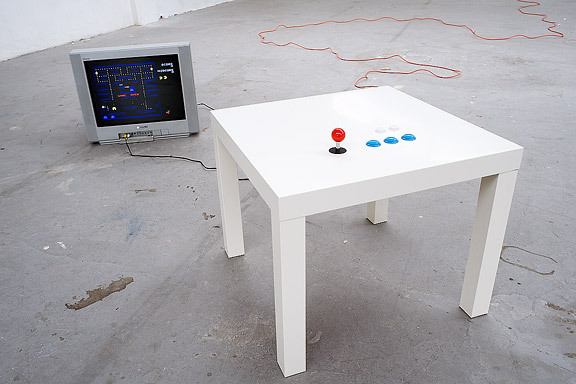 This way the TV game has a longer life and the Ikea LACK is no longer the boring classic every household owns. 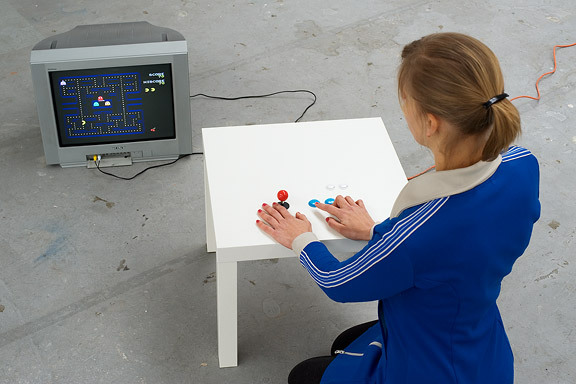 Thanks to Lara Verlaat for Playin Pac-Man.